We are your ONE-STOP-SHOP for all your moving needs! We have a state-of-the-art self storage facility with the best customer service around! When you rent from us, you'll have easy and convenient access to your belongings. Check out our self storage units online and rent online from your desktop or mobile device. Give us a call or rent online today! This unit will be available in May of 2019. Please use the Waiting List Button to Reserve. 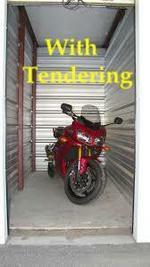 This unit fits a dresser, a small mattress set, and several small to medium-sized boxes. This space is also perfect for garden tools, seasonal décor and sports equipment. This unit fits furnishings of a mid-sized bedroom, including a queen-sized bed, a dresser, a TV and several small to medium-sized boxes. This unit fits the contents of an entire family room or two full bedrooms, including several small to medium-sized boxes. This unit fits the contents of three full bedrooms and larger items such as a piano, couches, tables, or large-screen TVs, plus several medium to large-sized boxes. This unit fits the contents of a multi-bedroom house, including several oversized items like a couch, a refrigerator, a washer/dryer and a dining room set or several large boxes. Temperature controlled unit for a motor vehicle. These SPECIAL units are equipped with Garage door openers, and each have individual access pads. 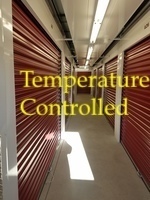 Why Rent Storage Units From Hilltop Self Storage of Grafton? Excellent customer service means helping customers efficiently, in a friendly manner. It's essential to be able to handle questions and issues for customers and do your best to ensure they are satisfied. ... At Hilltop Self Storage, Excellent customer service is always being positive and willing to assist your customers to the best of your ability. Hilltop Self Storage provides a complete storage solution to fit the needs of individuals and companies that require storage. Our clients enjoy access to our State-Of-The-Art website to create accounts, make reservations, rent and pay for units. Find our State-Of-The-Art self storage facility at 100 Milford Road, South Grafton, Massachusetts We are ready to meet your storage needs anytime! Our software allows you access to our State-Of-The-Art website to create accounts, make reservations, rent and pay for units with no manager needed. It's quick, easy and convenient and hassle free. We are also an authorized U-Haul Dealership and can save you time by renting you a Truck or Trailer in one convenient location! We sell boxes, locks, pads, tape and all your moving supplies!! 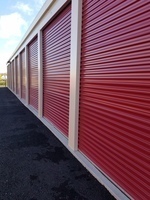 THINGS TO CONSIDER BEFORE RENTING A SELF-STORAGE UNIT. A little homework can make for a smooth, problem free move-in experience as well as a worry-free stay. SIGNIFICANTLY REDUCE YOUR CORPORATE OVERHEAD – CONSIDER using self-storage. Here’s why. - The average rental rate per square foot in Worcester, MA in 2017 was $17.44*. That’s nearly 15% higher than it was in 2014. And keep in mind, that figure may not include additional costs such as electric, heat and cleaning costs associated with leasing office space.